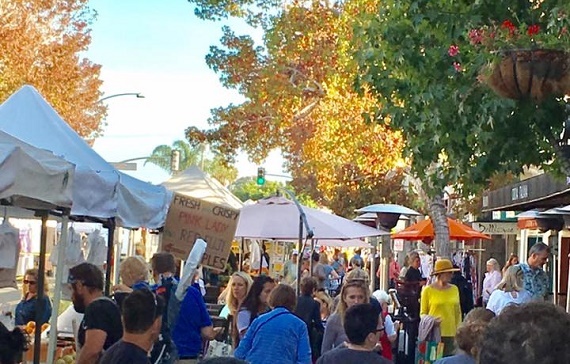 Started in 1994, the State Street Farmers' Market takes place in downtown Carlsbad every Wednesday. Enjoy fresh organic produce, locally prepared foods, handmade crafts, and live entertainment in the heart of Carlsbad Village on State St. between Carlsbad Village Dr. and Grand Ave. We offer approximately 18 produce vendors, 25 packaged specialty food vendors, six prepared/cooked food vendors and two to four crafters at every market. Visit us on Facebook for last-minute weather updates to see if the market is open, and for timely market information! Connect with us on Instagram for great photos and videos and meet our vendors. VENDORS: We are currently at full capacity and do not have room for new vendors. However, if you are a food vendor (produce, hot/cold foods or artisan packaged foods) and would like to be considered if a booth space becomes available, please email info@carlsbad-village.com with your product offering and where you are currently selling. Food/produce vendors only, please. No commercial or craft vendors. MARKET SPONSORSHIPS AVAILABLE: If you are a Carlsbad-based (business license in Carlsbad) service oriented company (insurance, chiropractic, real estate, etc.) and would like to promote your business, its services, etc., to local customers, market sponsorships are available. Please contact Christine at info@carlsbad-village.com for more information. PARKING: There is plenty of parking in the Village. Sometimes you just have to hunt a little harder for it. There are several public lots within one to two blocks of the market. Public lots are located on Roosevelt Street, State Street (south of Carlsbad Village Drive), and behind the Coaster Station. 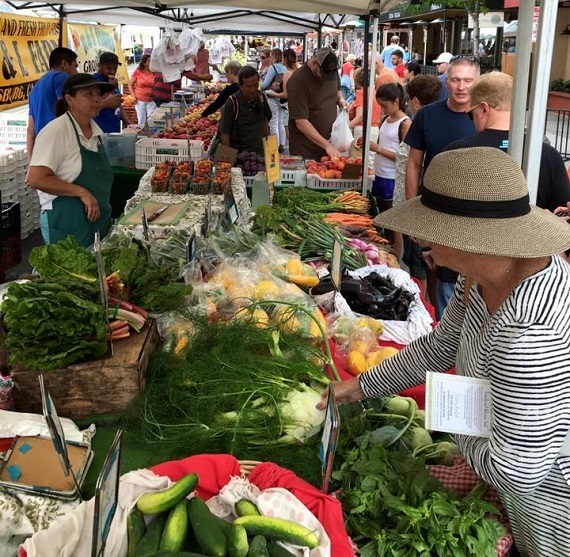 And, don't forget that State Street, between Grand Avenue and Carlsbad Village Drive, must be cleared of all cars starting at 1pm to make room for the Farmers' Market. Thank you for your cooperation!